All Cub Scouts belong to a Pack, which meet once a month. Pack 9 is chartered by and meets at Crestwood Baptist Church in Lumberton, TX. At the Pack Meeting the scouts will be recognized for their accomplishments during the month, to complete group adventure projects, and to have fun with the entire family. From the pack they are broken into age-appropriate Dens, which are listed below. Most Dens have 4-10 boys, and meet three times a month at a place designated by the Den Leader. Each month will have a different theme, and is called an Adventure. Scouts must complete 7 adventures to earn their rank. At early ages most of the adventures are predefined, but as boys progress through the ranks closer to becoming a Boy Scout they are given more freedom of choice. Dens may also have a Boy Scout assistant, known as a Den Chief, to assist. 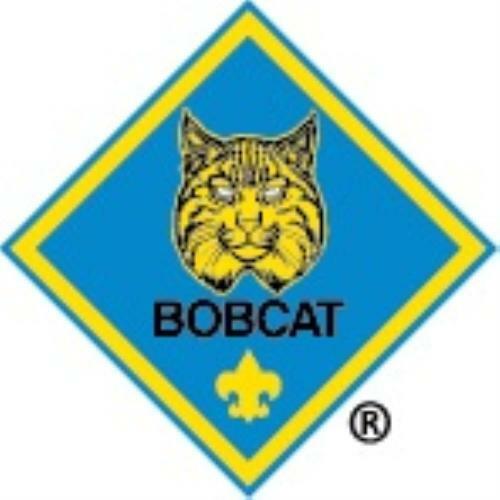 Bobcat is the first rank all scouts must earn, no matter what age they join scouting, before he can advance to the rank of Tiger, Wolf, Bear, or Webelos. A boy must complete his Bobcat requirements, which include learn and say the Scout Oath and Scout Lay, show the Cub Scout sign, salute, and handshake, and tell what they mean. 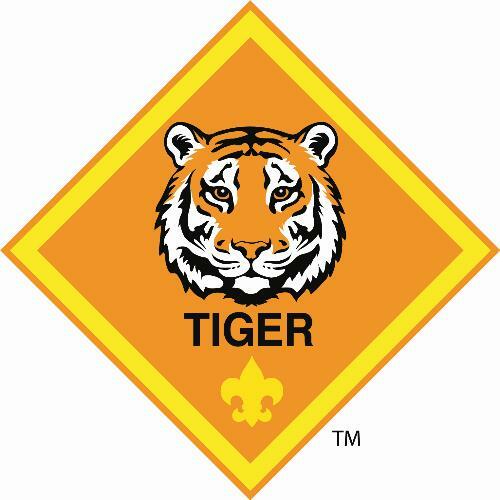 Tiger Scouts, an introduction to scouting,is for boys who are in the first grade(or are 7 years old). 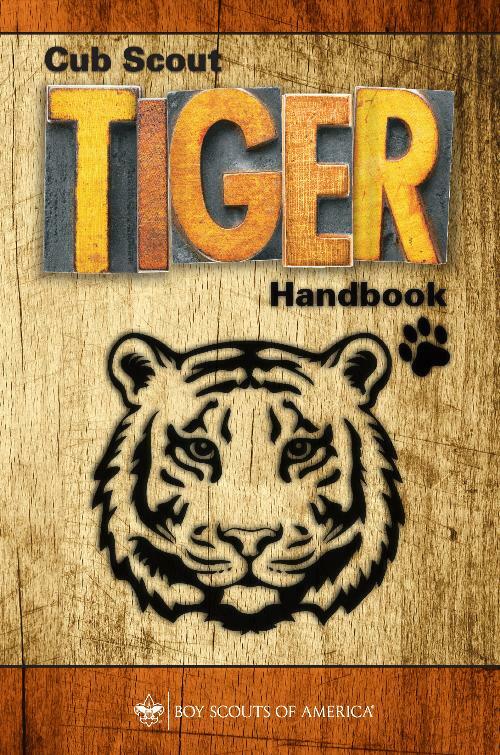 To earn their Tiger Badge, a scout must complete 7 adventures, 6 defined and one elective. Each adventure typically takes one month, or 3 den meetings, to complete and focuses on a new theme each month. 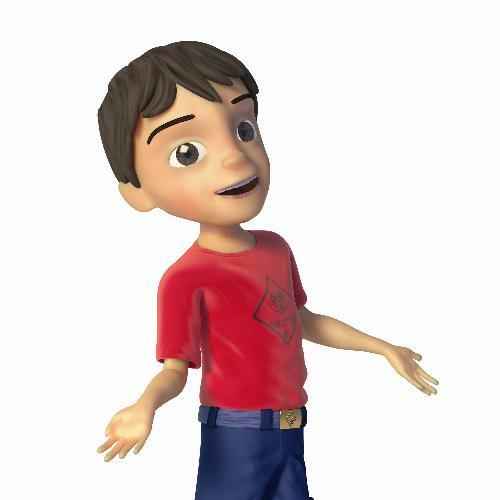 As a Tiger Scout completes his adventures towards the Tiger rank, the Den Leader recognizes a boy's hard work with the Adventure Recognition Belt Loop. 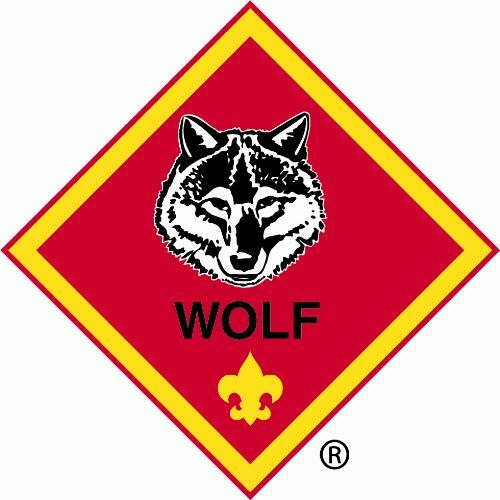 The Wolf Badge is earned by boys who have completed first grade, or who are eight years old. 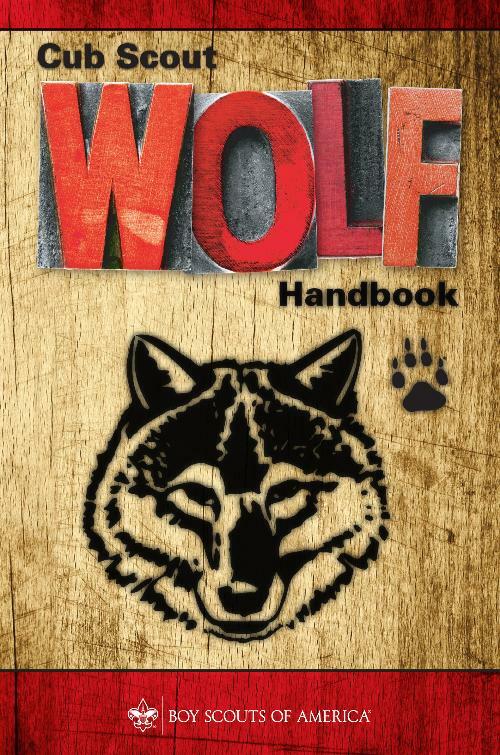 To earn their Wolf Badge, a scout must complete 7 adventures, 6 defined and one elective. Each adventure typically takes one month, or 3 den meetings, to complete and focuses on a new theme each month. As a Wolf Scout completes his adventures towards the Wolf rank, the Den Leader recognizes a boy's hard work with the Adventure Recognition Belt Loop. 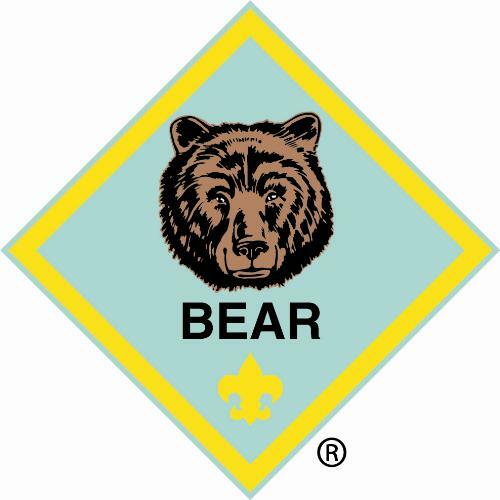 The Bear Badge can be earned by boys who have completed second grade, or who are nine years old. 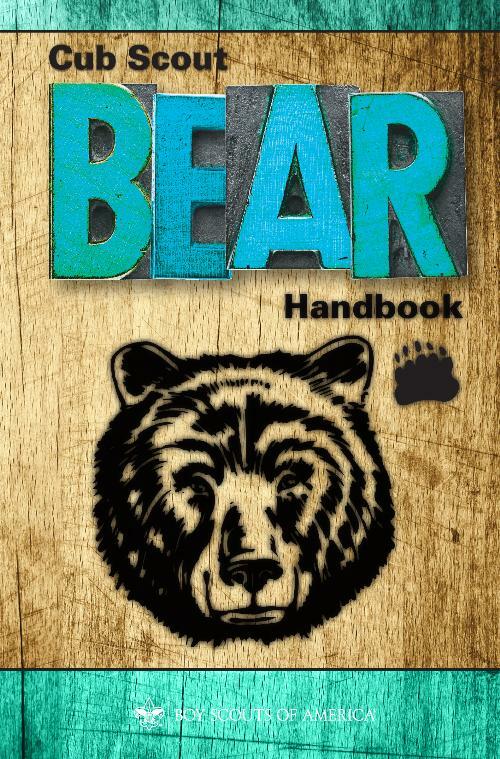 As in Tigers and Wolves, to earn their Bear Badge, a scout must complete 7 adventures, 6 defined and one elective. Each adventure typically takes one month, or 3 den meetings, to complete and focuses on a new theme each month. As a Bear Scout completes his adventures towards the Wolf rank, the Den Leader recognizes a boy's hard work with the Adventure Recognition Belt Loop. 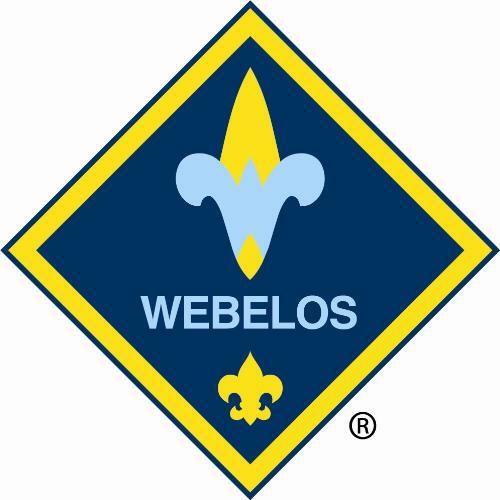 The Webelos Badge is for boys who have completed third grade, or who are ten years old. The Webelos rank is the first step in a boy's transition towards a Boy Scout troop and as such change uniform to match Boy Scouts, start working on more advanced themes, and are given more choices. 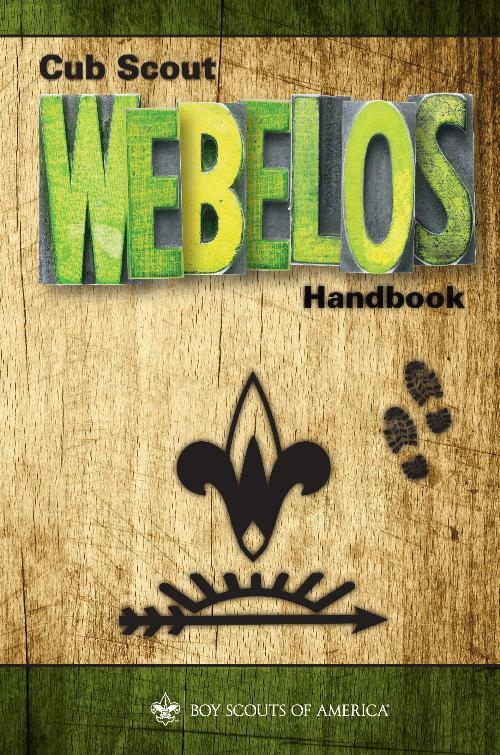 To earn their Webelos Badge, a scout must complete 7 adventures, 5 predefined and 2 electives. Each adventure typically takes one month, or 3 den meetings, to complete and focuses on a new theme each month. As a Webelos Scout completes his adventures towards the Webelos rank, the Den Leader recognizes a boy's hard work with the Adventure Recognition Pin that may be worn on the hat. After a boy has completed the fourth grade he is still considered a Webelos Scout but also becomes eligible to earn the Arrow of Light award. This is the highest award a Cub Scout can earn, and is the only Cub Scout badge that can be worn on the Boy Scout Uniform. While working towards the Arrow of Light, a scout will complete 7 adventures, 4 predefined and 3 electives. Each adventure typically takes one month, or 3 den meetings, to complete and focues on a new theme each month. While working towards the Arrow of Light award a scout will earn an Adventure Recognition Pin that may be worn on the hat. Because this award is so special, a special ceremony should always be performed by the Pack!